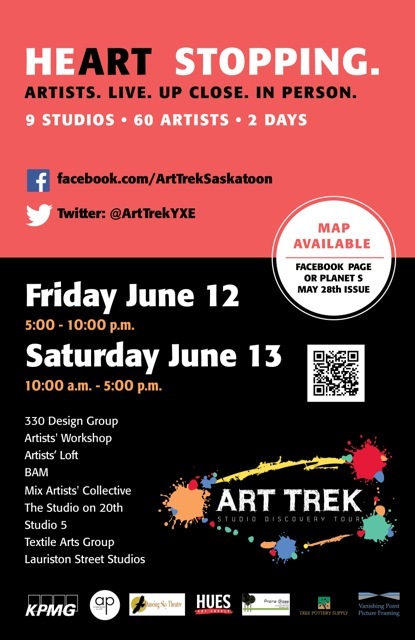 Artists’ Workshop will be participating in Art Trek 2015 along with 8 other Saskatoon artists’ studios. See the Art Trek Facebook page, or below for a map to all the locations. A map will also be published in the May 28th edition of Planet S.
Two of our group members are having shows in the next couple of weeks. We hope you can come out to these events! Karen Maguire is part of Open Studio 2014, for the Studio on 20th. 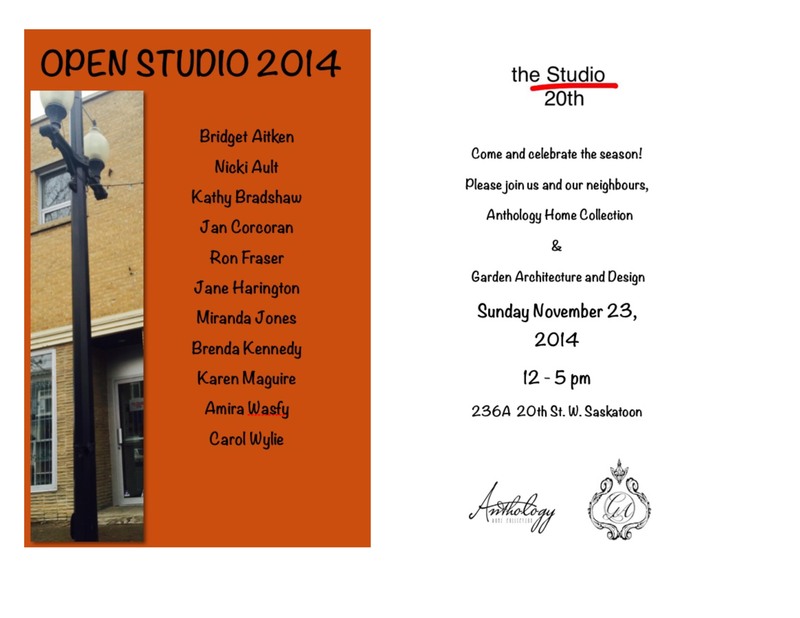 This is a one day event, Sunday November 23, from 12 – 5 pm, 236A 20th St W, Saskatoon. 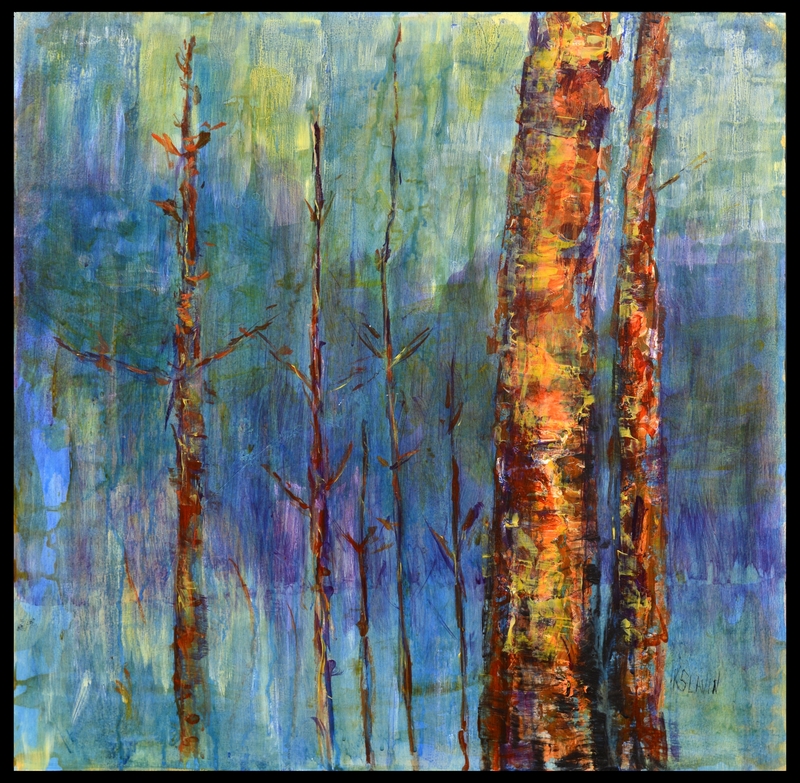 Kathleen Slavin is having a show of her work, entitled “Nature’s Performance” at Hues Art Supply, 818 Lorne Avenue (corner of Lorne & Taylor) in Saskatoon. The show will be up for the month of December 2014. There will be an opening reception on Saturday December 6 at 2:00 at Hues. This year marks Artists’ Workshop’s 25th year of making art. Mark your calendars for our Silver Anniversary Show in April 2015. Grace Westminster Church Auditorium, 505 10th St East, Saskatoon. Friday April 17, 7 p.m. to 10 p.m.
Saturday April 18, 10 a.m. to 5 p.m.
Sunday April 19, noon to 4 p.m.
We hope you can come and help us celebrate our 25th! 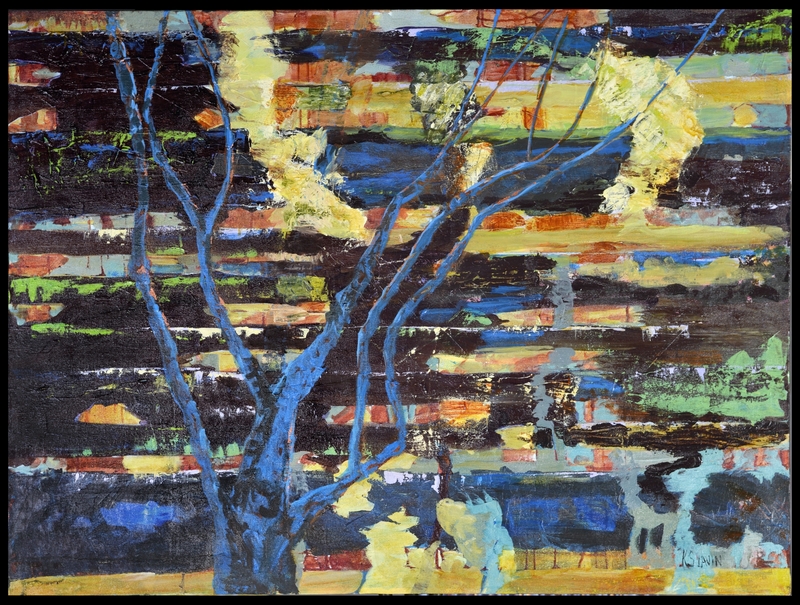 Art Trek 2014 – This weekend! 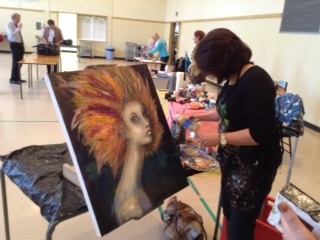 Art Trek 2014 is coming up this weekend, June 13 and 14th. Please go to our Facebook page for photos, updates, and the map of locations (see below also for a map). We are now on Twitter too, so you can keep up to date there too! Locations: The Studio on 20th – 236A – 20th St. W.
Stall Gallery Basement Studio C – 220 20th St. W.
MIX Artists’ Collective – 212 – 20th St. W.
Show time is almost here – Friday April 4th! This Friday night is our opening of the 24th Annual Show and Sale for Artists’ Workshop. Today was our last Monday of painting together for the season, and we were still working away. 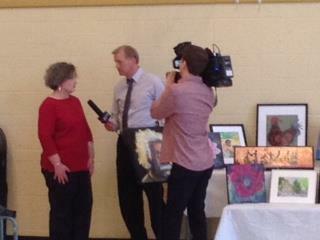 Also, today we were interviewed by Jeff Rogstad, our intrepid local CTV weatherman and community booster. He always makes it fun and easy and we appreciate him coming out to help publicize our show. We have lots of colourful and creative work to show you, musical entertainment, and tasty refreshments. So we hope to see you this weekend at the Grace Westminster Auditorium, starting 7 pm Friday, 10 am – 5 Saturday, and noon to 4 Sunday. It will be bright and warm! We are also listed on the Saskatchewan NAC site (Saskatchewan Network for Art Collecting). Spring show and sale coming up! Our 24th annual Art Show and Sale is coming up soon April 4 – 6.Mark your calendars!